WP Fusion supports making API calls to your Infusionsoft application when a user profile is updated on your WordPress site. This is useful if you want to trigger a campaign sequence after a user’s updated profile data is synced with your application. For example, you could perform actions based on the contents of certain fields, like assigning an owner, or applying a tag. In the main WP Fusion settings page, check the API Call checkbox, and then optionally specify an integration name and API call name. For most setups you can leave these at default. 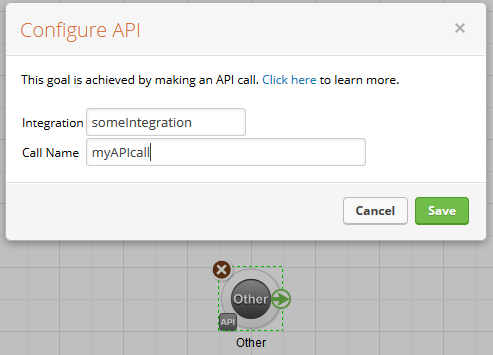 Then, in the Infusionsoft campaign builder, create an “API Call goal”, and configure it to match the integration name and call name you set in the WP Fusion settings. Now, whenever a user profile is updated, the goal will be achieved, and the contact will be moved through the subsequent campaign!